Richard White- Trade Commissioner, Trade and Enterprise, New Zealand and AVANZA hosted a masterclass conducted by celebrity Chef Kunal Kapur at the New Zealand High Commission in Chanakyapuri. The 2014-15 New Zealand avocado season is now underway and chef Kunal Kapur, showcased how well avocadoes blend with Indian meals. Guests were treated to a delightful avocado and coconut stew as well as avocado chicken kebabs paired with a zesty pineapple vodka salsa. “Coastal India is known for its “ishtew” and most of the stew has seafood in it. This recipe is a fine example how Hass Avocados seamlessly blend with the spicy tones of the coastal curry. Whereas the latter is a traditional home made chicken tikki with a kiwi twist of AVANZA Avocados. The subtle flavor of the kebab with the buttery notes of the avocado makes for a hassel free healthy snack.” said Chef Kunal. Chef Kunal concluded the masterclass by preparing the classic Litti with an Avocado Chokha and traditional Namak Para paired with an Avocado dip. Guests celebrated the splendid evening with a dinner paired some excellent New Zealand wines and cocktails. Avocados are the third–largest fresh fruit export from New Zealand. The total crop for the 2014-15 season is estimated at 7 million trays with 4.5 million due to be exported. Kunal Kapur is one of the most celebrated faces of Indian cuisine today. 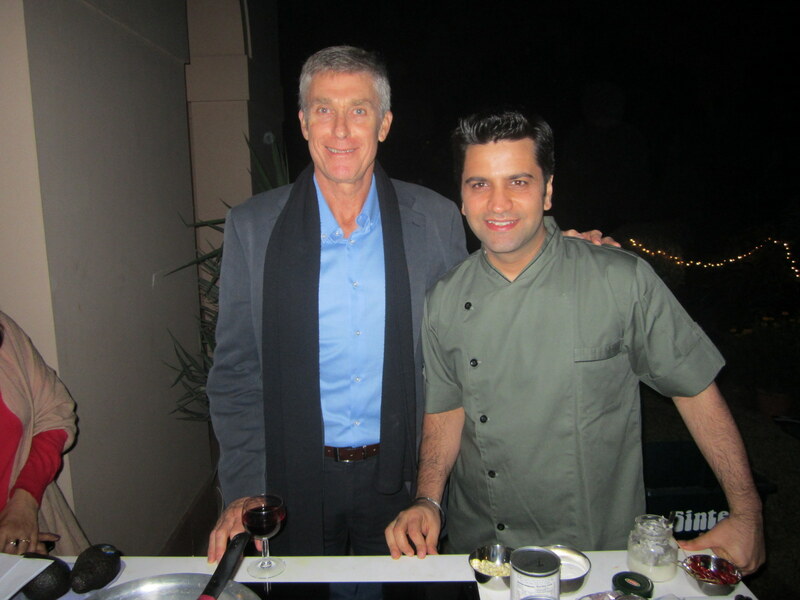 He is a chef extraordinaire, TV show host, winner of several culinary awards and the author of ‘A Chef in Every Home’. He is living his dream of making Indian cuisine the number one cuisine in the world and empowering everyone through power of cooking to become self sufficient. Chef Kunal (Executive Sous Chef, The Leela, Gurgaon) has been honored as one of the Top 20 chefs of India. He is also in the Elite Category of “Star Chefs” from around the world, representing Indian cuisine on board Lufthansa Airlines with his specialty menus for First and Business class. Chef Kunal was recently bestowed with the Indian Television Academy and Dr. S. Radhakrishnan National Media Award 2014 for his contribution to the television industry through Junior MasterChef and MasterChef India. The costal India is known for its “ishtew” and most of the stew has seafood in it. This recipe is a fine example how Hass Avocados seamlessly blend with the spicy tones of the coastal curry. Run a sharp knife from the top of the avocado in a circular motion. Slightly twist the avocado and separate the halves. Remove the seed and discard it. Peel off the hard skin and cut the avocado lengthwise into thick slices. In a separate pan heat coconut oil, add dry red chilly and then add mustard. Once it crackles ad the curry leaves followed by ginger julienne, garlic sliced, green chilly slit and onion sliced. Sauté for 3-4 minutes on slow flame. Now add turmeric, red chilly powder and coriander power. Sauté for a few seconds and add a cup of water. Allow to boil and then add the coconut milk and cook on slow flame for 5 minutes. Now add little tamarind to get the acidity right and check for seasoning. Mix the rice flour in 2 tbsp of water and slowly pour in the curry while still stirring it. Now in a bowl arrange the sliced avocados and pour the curry on top. Serve hot with steamed rice. Roast the aubergine, tomato, potato and avocado. Peel and mash them all. Add the rest of the ingredients and mash them. Season and serve.